Explore three European capitals on one trip. 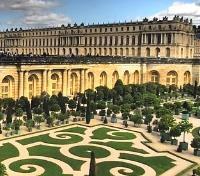 Fall in love with Paris and tour the dazzling Palace of Versailles with a private guide. Cruise the Singelgracht, Amsterdam’s UNESCO-protected canal network. 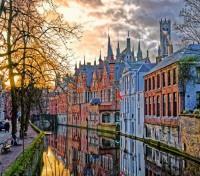 Take a privately guided walk through historic Brussels and medieval Bruges. Stay in a handpicked selection of luxury accommodations. Western Europe’s big cities have their own special allure. 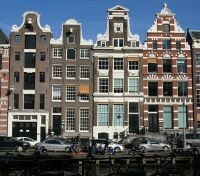 Amsterdam is transforming itself, repurposing the old buildings that line its famed canals into intriguing new streetscapes. Reserved Brussels becomes a nexus of quirky chic at night. And Paris is, as always, Paris: the most romantic city on Earth. The capitals of the Netherlands, Belgium, and France are ideal for those who prefer to savor their Europe slowly. Start with a privately guided tour of picturesque Amsterdam that passes its stately mansions, historic bridges, and colorful flower markets. In Rotterdam, visit the quintessentially Dutch borough of Delfshaven and the historic city center of Delft, then tour the monuments of The Hague. Later in Brussels, take in the Grand-Place, Royal Palace, and other landmarks before a tranquil guided walking tour of medieval Bruges. Finally, take a private half-day walking tour of Paris with a knowledgeable guide before heading to the Palace of Versailles, Louis XIV’s sprawling royal chateau, symbolic of both the extravagance of the ancien régime and the revolution that overthrew it. For your added comfort, you will have Meet & Greet guide assistance upon your arrival, which will be waiting for you outside the customs. Your representative will help to co-ordinate meeting up with your private chauffeur at the airport and accompany you to your accommodation. A welcome package with a city map, train tickets (if relevant), and any other touristic information that we deem you may find useful will be given to you by your driver upon arrival. Alternative arrangements will be made if you do not have a private transfer at the start of your itinerary. Hotel Pulitzer is unique among the luxury Hotels in Amsterdam. The hotel overlooks two of the city’s most picturesque canals: the Prinsengracht and Keizersgracht. Hotel Pulitzer is ideally located in the middle of Amsterdam’s historic city center and comprises 25 restored 17th and 18th century canal houses. Hotel Pulitzer Amsterdam offers a variety of dining options; Lobby Lounge, Restaurant Keizersgracht 238, Pulitzers Bar and Room Service. Breakfast and dinner are served in Restaurant Keizersgracht 238 where you can enjoy grilled specialties and tastes from around the world. If you are looking to restore and relax, their Lobby Lounge is the ideal spot for a coffee or light lunch. A multifunctional garden is hidden in the heart of the hotel and reveals an elegant terrace as soon as the weather permits. 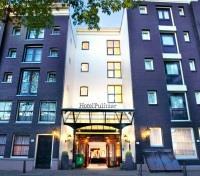 Hotel Pulitzer Amsterdam also features a fitness center, distinctive concierge services and a private salon boat. Your English speaking guide will meet you at your hotel and take you on a tour of wonderful Amsterdam. Your guide will take you through the most picturesque neighborhood of Amsterdam on foot, the canals, the bridges, and to the beautiful 17th and 18th century mansions along the canals. You will also see the Royal Palace on Dam square, the historic buildings along the Amstel River, the colorful flower market and more. Cruise the canals by boat, the best way to see Amsterdam; Holland’s capital has 100 canals and 1000 bridges. While cruising through the old city you will see elegant merchant's mansions, carillon-topped churches and warehouses dating back to the 16th and 17th centuries. Enjoy a full day private tour with vehicle and driver, accompanied by a guide. Enjoy a city tour of Rotterdam, a very modern city with a lot of culture. You will see the city hall, the Coolsingel (shopping street) and the cubical houses. There is also a historical part of town called Delfshaven built in a typical Dutch style. Rotterdam is also the third largest harbor of the world. Continue to Delft, famous for its blue porcelain. You will visit one of the potteries, where the art of painting the vases and plates, the baking process is shown. There are many historical pieces of Delft Blue art on show and there is a shop. Continue to the city center of Delft. Visit Delft, one of the most charming towns in Holland. The market place, the 'new' Church and the wonderful historical town hall in combination with narrow canals, and little shopping streets make it really special. 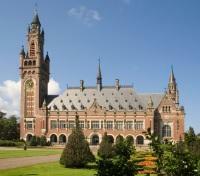 Enjoy some fee time for lunch (not included), before continuing to The Hague to enjoy a city tour. There are wonderful tree lined lanes and many monuments. During the tour you will see the Knight’s Hall, the Parliament buildings, the Peace Palace and Scheveningen Seaside resort. At the end of the tour, return to your hotel in Amsterdam. A transfer from your hotel to the train station with a private vehicle and driver is provided. 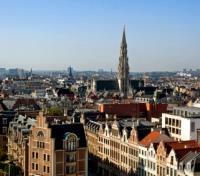 Enjoy a transfer by high speed train from Amsterdam to Brussels. Travel time is approximately 3 hours. For your added comfort, you will have a Meet & Greet guide assistance upon your arrival who will be waiting for you at the platform where your train arrives. 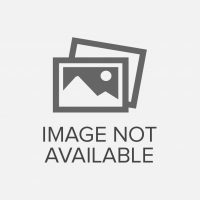 Your representative will help to co-ordinate meeting up with your private chauffeur at the train station and accompany you to your accommodation. 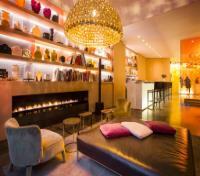 Discover the rhythm of Brussels and live the royal life in the luxurious Hotel Le Châtelain. Create new memories and discover a unique experience in surroundings which fulfill all of your needs and expectations. Immerse yourself in luxury and relax in one of the 107 boutique-style rooms and suites. Clear your mind and relax in the sauna, enjoy a moment of silence in the garden, or kick back in the lounge by an open fire. Be spoiled by what Le Châtelain’s culinary universe has planned for you, with the chic, on-site La Maison du Chatelain, offering refined Belgian and French gastronomy in the heart of the European capital. Meet your guide and driver for a private full day tour of Brussel and Bruges. Spend the first half of the day driving and admiring the legendary landmarks of Brussels from your car. Cruise past the grandiose structures of the European Union district and see significant sites including the Grand Place, the Royal Palace, and Manneken Pis. Then, travel through the verdant Belgian countryside to Bruges to witness the architectural beauty and winding waterways of the iconic city. Your guide will introduce you to the main sights and give you the history of the town as you stroll by the artistic wealth of the innumerable monuments, historical buildings, and churches. Stand in admiration of the marvelous market square, the city hall, the belfry and its halls, the numerous canals, and the typical God houses – late medieval-looking houses bearing a name and a year on the outside wall – which can be seen everywhere in the city. The city center is car free, allowing for a pleasant, traffic-free walking tour. Admission to the sites is not included. Lunch is included. A private vehicle transfer between the train station and your hotel or city with a driver is provided. Enjoy a transfer by train from Brussels to Paris. Travel time is approximately 2 hours. For your added comfort, a Meet & Greet assistant will be waiting for you on the arrivals platform at the train station, holding a sign with your name on it. 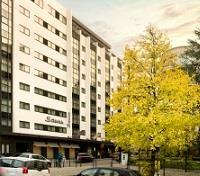 They will help you to co-ordinate meeting up with your private driver and accompany you to your accommodation. Today, you have the opportunity to engage in a vast array of optional activities. It may seem overwhelming because there are so many things to do and see in Paris, but Kensington Tours has a few exciting suggestions for you. Within the city, you can choose from any number of privately guided tours around specific neighborhoods, places of interest such as the Louvre, or arrange a tour with a focus on architecture. It is entirely up to you! Consider a few hours with a personal shopper, or a guided tour in a vintage car through a Parisian neighborhood. If you are interested in doing something further afield, consider a day trip to Chartres, Versailles, Normandy, Burgundy, or Giverny (known because of Monet's paintings). A fun way to spend an afternoon is touring by hot air balloon, which is possible to do in the Parisian countryside. Please ask your Destination Specialist if you are interested in any of these optional tours and activities. Situated between the Louvre and Opera, the Grand Hotel du Palais Royal is an essential Parisian address, a refined haven in the heart of Paris where architecture, culture and gastronomy blend with the most exclusive boutiques. The hotel is nestled in a magnificent 18th century building, parts of which are officially designated a historic monument. 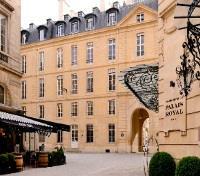 All 68 rooms and suites are luxuriously equipped with Pierre-Yves Rochon’s decor, while an on-site spa and restaurant, staff trained in the tradition of luxury French hotels, and the unique location in Paris make the Grand Hôtel du Palais Royal the new address for Parisian chic. 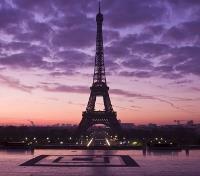 Meet your private guide at your hotel and depart on foot for a 3-hour walking tour of Paris, the City of Light. The location of your hotel will dictate how your time is best spent, though your guide will be happy to accommodate any specific requests. Perhaps make your way to Ile de la Cite, where the medieval city was focused, and where you can admire the cathedral of Notre-Dame, one of the most famous Catholic churches in the world. 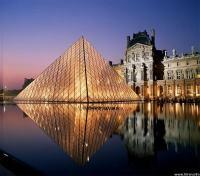 Make your way to see the courtyards of the world famous Louvre, the largest palace and museum in Europe. 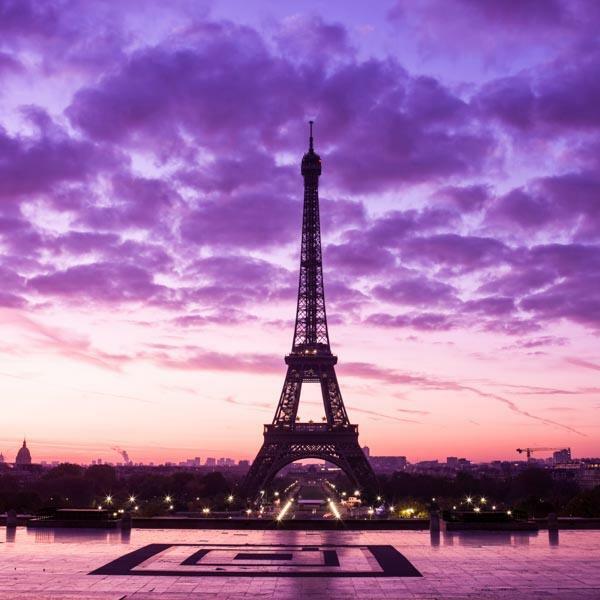 Learn about Paris at the time of Napoleon as you see the imposing Arc de Triomphe on the renowned Champs-Elysees, or make your way toward the icon of Paris, the Eiffel Tower, for a ground-level photo opportunity of this must-see monument. Enjoy a half day visiting the UNESCO World Heritage-listed Palace of Versailles, traveling in a private car and English speaking guide. This magnificent Baroque palace is known to the world as a symbol of civilization and pleasure. The Palace of Versailles dates back to 1038 and was the official residence of the Kings of France from 1682 until 1790. Used by Louis XIV initially as a hunting lodge, the property expanded to become the majestic site of French classical architecture complete with extensive manicured gardens. The interior showcases brilliant examples of Baroque furnishings, a rare collection art, and special exhibitions. Your guide will lead you through the most beautiful rooms where you'll be dazzled by their sheer opulence. Free time is allocated at the end of the tour for a walk in the French style gardens which feature exalted statues, busts, and marble vases, before returning to Paris.